Winter is approaching for majority of the United States. Some in the Midwest have seen a couple inches of snow come and go already in October. Over the next five months, much of the country will be dealing with cold, wet, icy, and dangerous conditions. These conditions affect everyday activities, including driving. 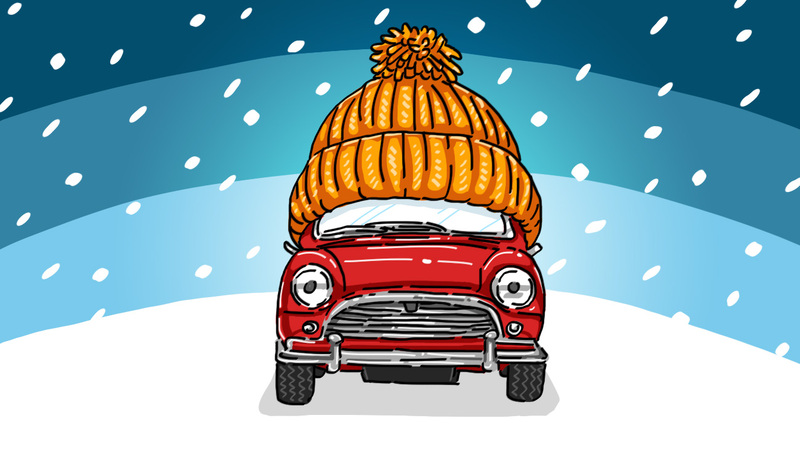 There are several tips and tricks to help get your car ready for the winter months. Here are five tips to help winterize your car. An article written by the DMV details these thoughts further. Check all fluids. Antifreeze guards your engine on both cold and hot days. It is important to keep the ratio at 50/50. It protects fluids from freezing up to -34 degrees Fahrenheit. When traveling in snowy conditions, make sure to keep your vision clear with enough wiper fluid. Emergency kit. Keep a couple important items in your car at all times in case of an emergency. An ice scraper can help clear your windows after a snowfall. A small shovel will help you dig out your car if it is parked in. A small bag of salt would also do the trick if your tires are get stuck in the slush. Check your tires. Maintaining proper air pressure is very important. Check your vehicles manual for proper inflation, but often times it is different for winter and summer conditions. If you have a 4x4 vehicle, make sure you use it accurately. Keep your gas tank filled. Try and always have your gas tank around half full or greater. Your tank can freeze up from the low temperatures due to condensation on the walls of the tank. Service your vehicle regularly. Keeping your vehicle up to date is always something that should be done. It is even more critical in the winter. You might be able to catch something small with a proper inspection. Leaving yourself enough time when traveling from point A to point B is also critical. You will not be able to drive like you do when the roads and conditions are perfect. Traffic will often times be heavy. Make sure to plan ahead and make sure you are not in a rush as you get in your car. These five tips to winterize your car can help keep you safe in the winter no matter the conditions.